Streamer Ribbons & Scarves – A Rainbow of Fun! Put a scarf or ribbon in a child’s hand and movement automatically begins! Dance, leap, run, twirl, spin, gallop, jump, throw, catch – the active play it provides is never ending! I highly recommend that you have enough scarves or ribbons for each child to have one for each hand. 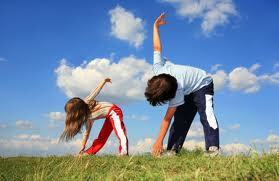 Start the music and encourage the children to dance and move about freely in the open space. When the music stops, they are to freeze (stand motionless like a statue). When the music starts again, children resume dancing. Try to trick the dancers by starting and stopping the music quickly. They love the element of surprise! Music suggestions: “I Like To Move It” by Crazy Frog (fast dancing – suggest dancing using locomotor movements—jumping with two feet, hopping, jogging). “Somewhere Over the Rainbow” by Judy Garland (slow dancing – suggest twirling, leaping, and floating to the music). On Your Mark, Get Set, RUN! Have children stand in a line one person behind the other. When the music starts, the child at the head of the line does a movement with the scarf or streamer and all children behind the leader will move their scarf in the same way as the leader (i.e., waving scarf overhead, jumping with the streamer, swinging arms back and forth with scarf, etc.) When the music stops, the child that was at the front of the line goes to the back of the line and the next child in line becomes the leader. The music starts again and the game continues until everyone has had a chance to be the leader. Music suggestion: “Happy” by Pharrell Williams. Set up boundaries using ropes or cones in the available space. Each child tucks a streamer or scarf into their waistband behind their back. The ribbon is now their tail. The game starts when the music starts and the children run in the available space. The game is played like tag, but instead of tagging each other, children pull each others ribbon out of their waistbands and drop them to the ground. The child whose ribbon is pulled, picks up his streamer ribbon (tail), goes to “the tail repair area” (a designated spot, i.e., door, tree, etc.) to replace the tail in their waistband. Once the ribbon or scarf is secure in their waistband, the child returns to the game and resumes pulling tails (ribbons/scarves). Music suggestion: “U Can’t Touch This” by MC Hammer. Yes, the children will let you know that the blockbuster Disney movie, Frozen, can be an inspiration for anything and everything cold and icy. You don’t need any cryokinetic powers to produce ice and snow. Depending on where you live, just venture outside or open the freezer. Most of these activities take little or no preparation…and remember, it’s the process, not the finished product…so “Let It Go” if you think the end result is for children to make something that looks like something recognizable (i.e., providing a pattern of a snowflake or snowman to use with the art medium). Have fun discovering the science in these activities while exploring with art! As Olaf said, “Some people are worth melting for.” I think the children will agree. Fill spray bottles half full with Colorations® Liquid Watercolor™ (do not dilute the color by adding water). If you have snow, go outside and have fun spray-painting snow. 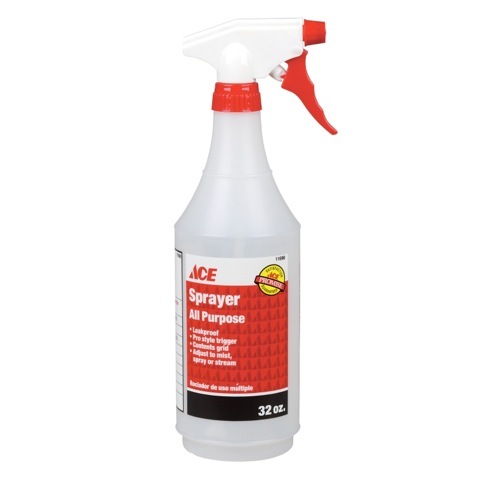 If it gets too cold and fingers in mittens don’t work too well with the trigger sprayers (my favorite sprayers are the ones from Ace® Hardware), let the children scoop the snow in buckets and bring it inside to your water table. Spray away. Observe how the colors blend to make new colors. Way cool! Squeeze Colorations® Liquid Watercolor™ or BioColor® into ice cube trays. Cover trays with aluminum foil and insert craft sticks (poke through foil) into each cube. Place trays in freezer overnight. 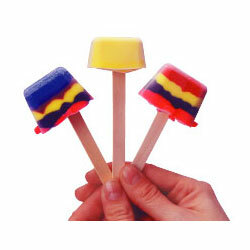 Pop paintsicles out of the trays. Provide heavy white paper or tagboard and using the craft stick as a handle, children paint the entire paper with bright blocks of color. Freeze water in a variety of sizes and shapes of empty containers—plastic bowls, jello molds, cardboard milk containers, ice cube trays, etc. 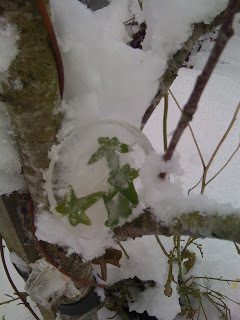 In cold climates, children could put the containers of water outside to freeze. Empty the ice shapes and ice cubes into the sensory tub or water table. Place small cups of salt and rock salt in the tub. Place small cups of Liquid Watercolor™ in tub. Add an eye dropper to each cup. Problem solve with the children how best to use the ice to form ice castles, deciding which blocks of ice would be best on the bottom and which would work better on the top. Children can sprinkle the salt on top of each chunk of ice before adding another piece. Talk with them about how the salt begins to melt the ice. Then when another piece is added, the water refreezes and becomes part of the newly added piece of ice, helping it to stick together creating ice castles. Children then use the droppers to drop the Liquid Watercolor™ into the cracks and holes created by the rock salt and salt making a colorful kingdom. Cognitive-Science – Cause and Effect: Discuss the chemical reaction that ice has when salt is sprinkled on it. Salt lowers the freezing point of ice, causing it to melt. Cognitive-Science – Cause and Effect: Solids transforming into liquids. Cognitive-Science – Cause and Effect: Mixing primary colors (red, yellow and blue) you make the secondary colors (orange, green and purple). Physical-Fine Motor Skills: Using small muscles (pincher grasp) in fingers to squeeze the bulb of the dropper and to pick up grains of salt and chunks of rock salt. 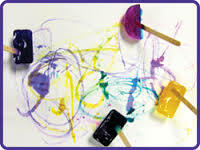 Physical-Fine Motor Skills – Eye-Hand Coordination: Hands and eyes working together to accomplish a task; using fingers to manipulate dropper with color and squirting colors into salt crevices. Cognitive-Problem Solving and Critical Thinking: Some children will have difficulty in figuring out how to get the color into the dropper and then onto the ice. Handling the eye dropper will be a challenge, so they should be shown how to use it and encouraged to keep trying until they succeed. Language Development: Children talk excitedly about what they see happening. Social/Emotional Development: Fostered as this is an open-ended activity with no right or wrong way to do this activity. It promotes children’s self-esteem. Freeze nature items (leaves, pine needles, flowers, berries, small rocks) in silicone cupcake liners or an aluminum or silicone cupcake/muffin tray. Let the children put items (flower, leaf, etc.) of their choice into each of the cupcake liners. Then fill them halfway with water. Before putting them into the freezer or outside, insert a paper clip (open half-way) into each cupcake liner that will be used to hang up the frozen decorations. 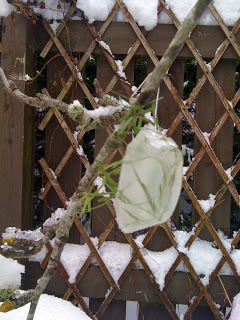 Once frozen, pop them out of their mold (cupcake liner or tray) and decorate your outdoor environment by having the children hang them on tree branches, fences or whatever else will support the icy decoration. 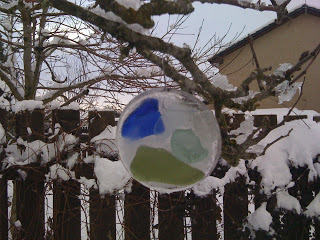 As the temperature warms up and the sun comes out, the children will observe and discover what happens to their once frozen beautiful decorations. As an Early Care and Education Consultant and Trainer, I am asked to conduct workshops on a variety of topics for infants, toddlers, and preschoolers. My main goal in presenting at conferences and trainings (and also in writing this blog) is to share ideas and activities to use with the children in your care. I have been asked to present my workshop, “NO CHILD LEFT INSIDE! Extending the Curriculum Outdoors” for Infant and Toddler Teachers. The program coordinator specifically asked me to focus on the sand and water table and the sensory materials that can be included for this age group. Is your sand and water table buzzing with activity or is it stagnant like the water you always seem to have in it? Perhaps your sand and water table is closed because you think it creates a mess. Whether you need to rekindle interest in your sand and water table or remind yourself about the value of sensory play…read on to discover the sensory learning opportunities found in the sand and water table. The sand and water table can be equipped with two basins or tubs side by side or it can be one large table. Whatever the configuration, most of these tables can be used inside or outdoors. 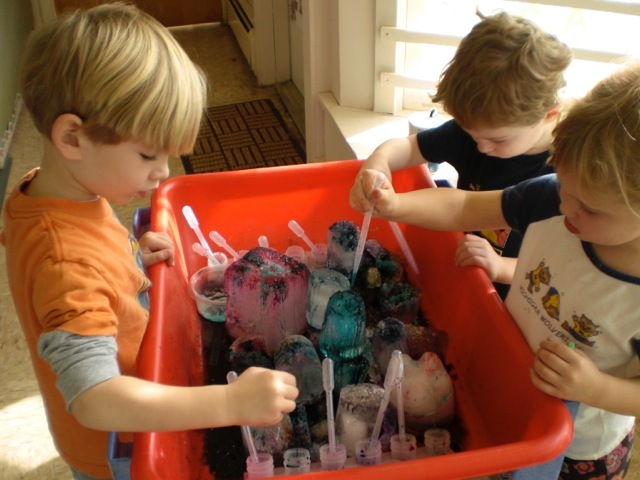 Sensory play, sometimes known as “messy play,” happens in the sand and water table. It is a center for exploring with your senses, experimenting, scooping, and pouring, squeezing and smushing (building fine motor skills and eye-hand coordination for handwriting), sharing and turn taking. 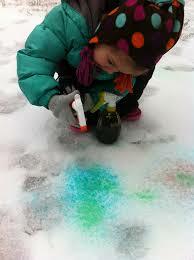 Children can watch chemical reactions, mix colors, repeat observed phenomenon, and try new things. Sensory play promotes spatial awareness, mathematical thinking, and scientific exploration and discovery. It also is simply a great way for children to relieve their stress. Sensory play can be very soothing and relaxing to a young child. Ideally, the items in the sand and water table should be switched out every week, though there are some materials (i.e., water) that need to be emptied daily. What you can and cannot include in your sand and water table depends on the children and the different policies of your program about the use of food during play and explorations, as well as concerns about children’s food allergies and sanitation. Some of the items listed may be problematic for toddlers and those children who insist on putting everything in their mouth, ears or nose. Provide close supervision and use only larger items for the very young. Depending on the contents of the sand and water table, add small shovels, rakes, sand and water mills, small watering cans, squeeze bottles, sifters, sand molds, buckets, plastic or rubber animals, small people, boats, vehicles, kitchen utensils (wire whisks, slotted spoons, scoops, tongs, tweezers, funnels, mixing cups, basters, ladles, muffin tins, plastic cookie cutters, ice cube trays, sieves) and a variety of containers to foster complex sensory play. I think it’s important to have two sand and water tables—one for inside and one for outside. That way, depending on the weather and your setup, some kind of sensory activity can be available for the children to explore. Infants and toddlers rely on sensory input to learn about their environment. Sensory play helps build neural connections that support thought, learning, and creativity. It supports language development, cognitive growth, fine/gross motor skills, problem solving/reasoning, and social interaction. Sensory experiences are like food for the brain. With a little bit of planning, sensory play in the sand and water table can happen everyday! Rubber Duckie, You’re Number One! Whether you spell it “Ducky” or “Duckie” (as in the Sesame Street song), the rubber duck squeaked in to become a 2013 inductee into the Toy Hall of Fame (along with the ancient game of chess). Officials at the National Toy Hall of Fame (located inside the The Strong—National Museum of Play in Rochester, NY) say anyone can nominate a toy and thousands of suggestions come in every year. An internal committee of curators, educators and historians chooses the finalists and then a national selection committee votes for the winners. Longevity is a key criterion for getting into the hall. Each toy must be widely recognized, foster learning, creativity or discovery through play, and endure in popularity over generations. Rubber ducks have been recognized as the quintessential bathtub toy since 1970 when Ernie, the cheerful orange Muppet on Sesame Street, first sang the catchy ditty “Rubber Duckie” to his best bath buddy. The song rose to number 16 on Billboard’s chart of hit tunes and, 43 years later, kids still sing the praises of their water play pals. Fill the water table and place the Letter Learning Ducks in the water. Encourage children to find the duck that has the first letter of their name. Place the Alphabet Duck Cards on the floor or on a table with the letters facing up. 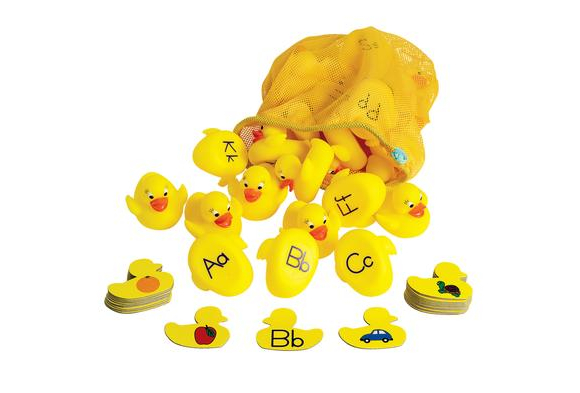 When a child finds the duck with the matching letter, have him place the duck next to the matching alphabet card. After everything is matched, sing the alphabet song together. Add some no tears bubble bath soap to the water and have the children stir up some bubble bath fun for the rubber ducks. I am passionate about putting into teacher’s and children’s hands materials that promote physical activity and learning. Excellerations™ Get Up and Go! Dice does just that and is a quality product from Discount School Supply®. The two large seven-inch vinyl-covered foam dice have pockets on all six sides that hold activity and number cards. Insert six different activity cards in each of the pockets on one die. On the other die put the numeral cards, either showing the dots or the numeral. Depending on the developmental skills level of the children, I use the numeral cards for numbers 1, 2, and 3 and the dot cards for numbers 4, 5, and 6. Young children may not recognize the larger numerals, but they are usually able to count the dots or “pips.” Did you know that the dots on dice are called “pips?” The word “pip” commonly means a “spot” or a “speck,” and perhaps that’s why the dots on dice, as well as dominoes, are called pips. Don’t shy away from the big word, i.e., “pips” for “dots.” It is very common for adults to simplify their language when talking to young children. Throwing in a new word now and then is a great opportunity to build vocabulary! If you’re going to explain what something is, you might as well use the proper word the first time. Children may not always pick up on those big words, but they certainly won’t if they don’t ever hear them. So go ahead, use words like “identical” instead of “same” and “pips” instead of “dots.” You’ll be surprised at what the children will pick up on when you give them the chance! Here is a fun favorite activity that I like to play indoors or outside. You’ll find more ideas in the Activity Guide that comes with it. Sit children in a large circle. One child is chosen to roll the dice. Child with dice stands up and rolls the dice into the middle of the circle. The child identifies the activity to be performed and the number of times to perform the activity by counting the pips or stating the number shown on the die. All children in the circle stand up and perform the activity that is lead by the child who rolled the dice. All the children are to count as they perform the movement. When finished, the child who had rolled the dice gives it to another child who continues the game by rolling the dice and leading the group in the movement activity that is shown on the movement die and counting the number of times they are to do the activity (as shown on the number die). If the child who rolled the die has difficulty counting, let the group count the dots or pips out loud on the number die, as the child points to them. Take pictures of the children doing a favorite movement activity (i.e., jumping jacks, jogging in place, etc.) and adhere it to a blank card. This personalizes it to the group of children in your classroom. This activity is also a great one to use when children are in transition –i.e., waiting for the bus or their group’s turn, etc. Get active, get moving, get healthy…and start rolling the Excellerations™ Get Up and Go! Dice. Everyone will be a winner! The Little Old Lady Who Was Not Afraid of Anything! I’m putting together a list of “Books That Move You” for an upcoming presentation I will be doing for the California Library Association State Conference in November (I’ll make sure to share that list in a future post). The title of this blog is the title of a really great and interactive book I’ve read to my preschoolers every October. It’s become a Halloween classic, though the word “Halloween” never even enters the text. The Little Old Lady Who Was Not Afraid of Anything, by Linda Williams and illustrated by Megan Lloyd is about a little old lady who goes out into the woods to get some herbs, spices, nuts and seeds, but stays out until nightfall. Walking home she meets a pair of shoes that go CLOMP! CLOMP! “Get out of my way, you two big shoes! I’m not afraid of you,” she said. She kept on walking down the path, but the shoes clomp-clomped behind her. She meets more clothing: a pair of pants that go WIGGLE, WIGGLE, a shirt that goes SHAKE, SHAKE, two gloves that go CLAP, CLAP, and a hat that went NOD, NOD. She tells each one “Get out of my way! I’m not afraid of you,” but they all follow her, making their noises. When she got near her cottage, the Little Old Lady encounters a very huge, very scary pumpkin head that goes BOO! BOO! The Little Old Lady runs home, hearing all those sounds behind her. When she’s back inside her cottage, a KNOCK, KNOCK, challenges her to open her door. Again, the shoes, pants, shirt, gloves, hat and pumpkin head try to scare her. When she bravely proclaimed, “You can’t scare me,” the unhappy pumpkin head asks, “What shall become of us?” But she had an idea. The little old lady gives them all something useful to do. She found a place for them in her garden, as a scarecrow, where they could scare all the birds away. “Say “Boo, Boo!”” like the scary pumpkin head that went BOO, BOO! We also act this out as a play with used children’s clothes that I find at the local thrift shop–a pair of hiking boots, a white shirt, a black top hat, a pair of white gloves and a plastic Halloween trick or treat pumpkin (jack-o-lantern) bucket. Don’t forget the little old lady props–a hat, shawl, apron, and a small basket with a handle. Each of the seven children in the play gets the appropriate prop(s) for their part. The remainder of the children in the group who are not in the play, but watching the play, participate by chanting and acting out the story with their body parts. The little old lady dresses up in her clothes. The child who is the pair of shoes, holds the small pair of hiking boots (one in each hand) and stomps them on the ground when he hears his part CLOMP, CLOMP; the child who is the pair of pants holds the pants with two hands and WIGGLE, WIGGLES them from side to side; the child who is the shirt holds the shirt with two hands and SHAKE, SHAKES it up and down; the child who is the pair of gloves puts them on his hands and claps them together when he hears his part CLAP, CLAP; the child who is the hat puts it on his head and moves his head up and down with a NOD, NOD; the child who is the pumpkin head holds the jack-o-lantern bucket and moves it back and forth in front of his face saying, BOO, BOO! In the story when the little old lady is sleeping (actor who is little old lady pretends to sleep), the children place the items on a children’s coat rack or clothes tree to make the scarecrow. If you do not have a small clothes tree (I used one I had in the Dramatic Play Area), lay the clothing on the floor to make the scarecrow. The children love this story and can’t wait to have a part in the play. We read it over and over again. It is both scary and fun! The text has lots of repetition and sounds/actions, making it a perfect cumulative story for an interactive read-aloud.